The Generic Medicines Industry Association (GMiA) Board has today announced Belinda Wood as the new GMiA CEO. 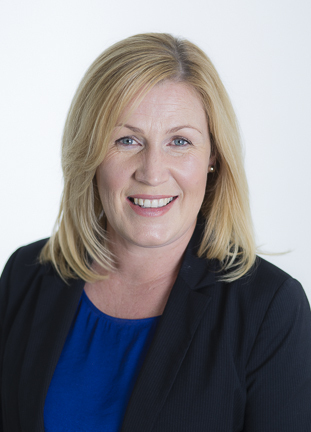 Ms Wood is well known to GMiA members and stakeholders having previously held the role of GMiA Policy Director and most recently fulfilling the role of Acting CEO. The appointment recognises both the strong contribution Belinda has made to the GMiA over several years and the significant progress she has made in critical policy areas. “Belinda has extensive networks within the industry and in Canberra. She is respected for both her integrity and collaborative approach. The pharmaceutical industry is facing significant change and the GMiA Board believes that Belinda’s skill set will be essential to navigating this period of change collaboratively with government,” said GMiA Chair Mark Crotty. Belinda has more than 18 years’ experience in the pharmaceutical industry and has had a strong Canberra presence since 2004. She has shaped medicines policy for the Pharmacy Guild of Australia and as a government/industry liaison and market insight consultant. Belinda holds a BMedSc in Pharmacology and currently sits on several industry committees including the Drug Utilisation Sub Committee (DUSC) and TGA Industry Working Group. “GMiA members deliver billions of dollars in PBS savings, first by providing competition and then through price disclosure. These savings depend on the existence of a thriving generic medicines industry. However pricing pressures continue to be felt and will force increasing numbers of medicines to be delisted. The big challenge for the PBS is ensuring fair pricing that secures the supply of less expensive critical medicines along with the industry that provides them.” said Ms Wood. For all media enquiries, please call Belinda Wood of GMiA on 0431 792 711. The GMiA is the national association representing companies that manufacture, supply and export generic medicines. The generic medicines sector is a high value-add sector delivering significant health and economic benefits to the Australian public. The availability of generic medicines in this country helps to deliver timely access to affordable medicines, substantial savings to the PBS, thousands of highly skilled jobs and domestic manufacturing and exports of over $400 million. Generic medicines deliver exactly the same health benefit to all Australians as the original brand and they must meet the same strict Australian standards, including the same manufacturing requirements, as branded medicines.